Sometimes we forget to get dad (or mom) in the photos and we end up with only pictures of our kids as if they have no parents. I am well aware that there may not be a dad in the picture for everyone reading this. (If that is something with painful feelings associated with it, I am truly sorry and wish you nothing but healing.) 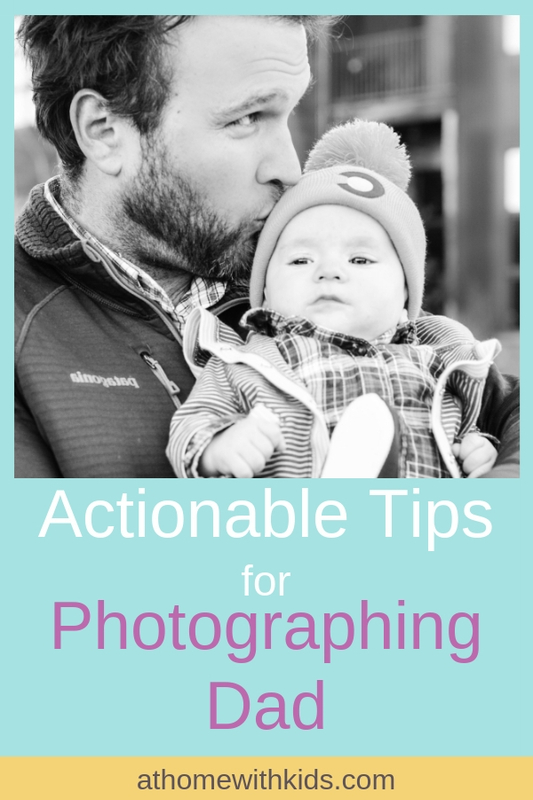 The tips in this post will still be very applicable as you can use them to photograph anyone in your life who adores your child, which I am sure is many. Photographing your children with their dad can give you some of the most treasured photos you have if you know a few tricks for capturing their relationship and emotions. This post contains several tips that can make your photographs of dad and kids come to life. rather than focusing on your kids, focus on dad. Get photos of his face as he looks at the kids. Photograph his hands, his eyes, his body language. 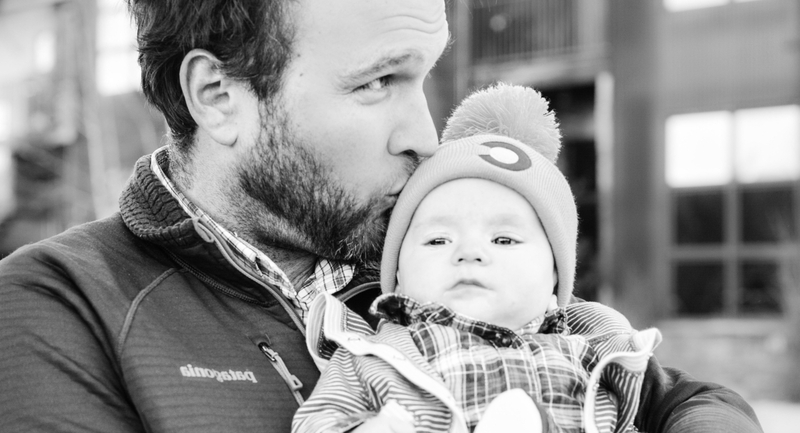 It is so easy to focus on the kids and have dad be the secondary element of the photograph, but switch this around and make dad the focal point and the kids secondary. one of the things I love about watching my kids with their dad is the sheer size difference between them. It is amazing to see the just how big dad looks next to our littles. Photographs where you show this size difference show the dependency of a child and the gentleness of a father. Get under the table and photograph the legs of your child and dad sitting next to each other. Take a photo from behind as they stand next to each other. Take a photo of dad holding your child. as dad and child play, get the expressions from each one. Move around them as they play so you can photograph each person. Don’t ask them to stop or smile, just take photos as they interact and you will get the best expressions. 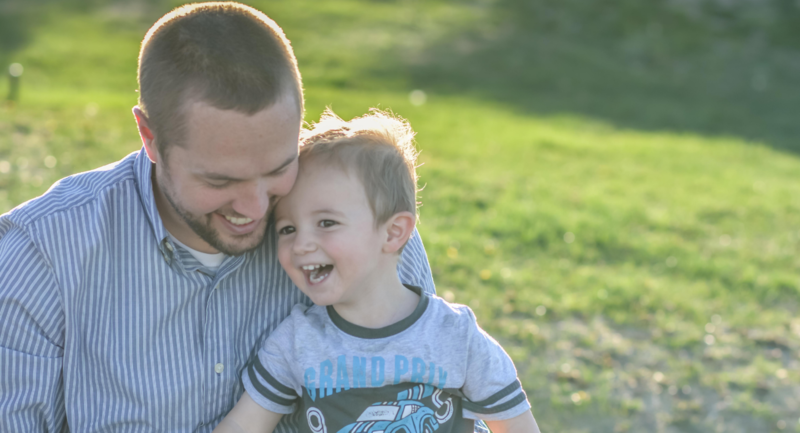 photograph the way your child interacts with dad. From rowdy play, to snuggles, to having an important conversation. The best images come from real interactions and not posed photos. Pick up your camera and photograph what you see. one of the best things about dad is he gets pretty silly and likes to wind the kids up (mainly right before bedtime). Capture those silly moments for your kids. Capture the moments where dad stops to teach your child something. This may be a fishing lesson, playing sports, or just explaining something your child has an interest in. 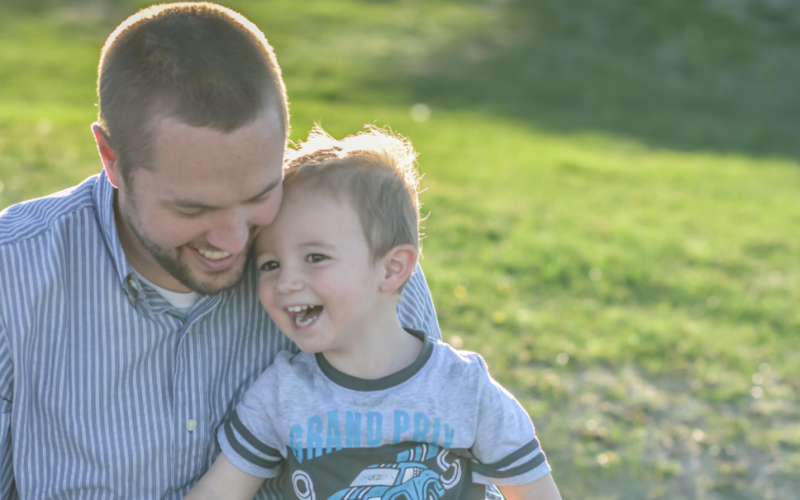 Look for moments where dad is mentoring your child and take photos of these moments. You may take photos as they talk and discuss (serious expressions in kids are always precious) or when they are physically learning something like how to swing a baseball bat. There are always moments where you can just tell your kids and dad are making a connection. I love finding quiet moments like when they are sitting in bed together reading a story, doing a puzzle, or sitting on the couch watching sports. Whatever it is, sometimes the most mundane activities can be the ones where the biggest connection is being made. Find these small moments and capture them in photos. You will cherish them later. Let’s face it, the relationship your kids have with dad is a very special one. 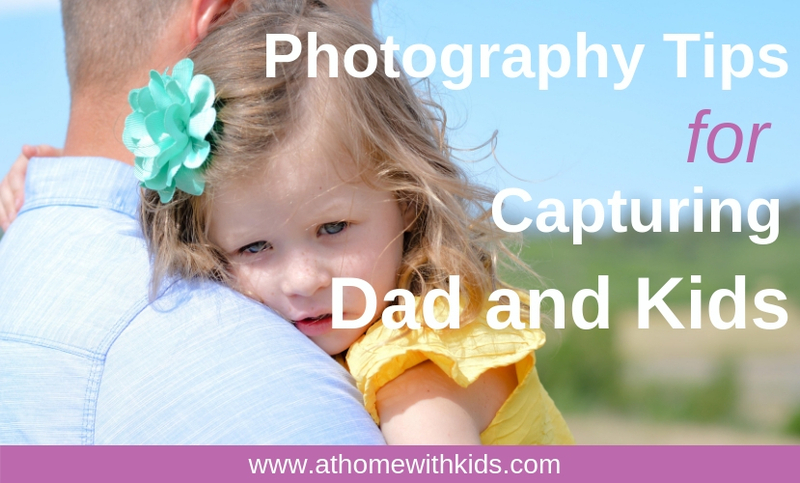 Focusing on dad and capturing those special moments will be a treasure for you and your kids as they grow. 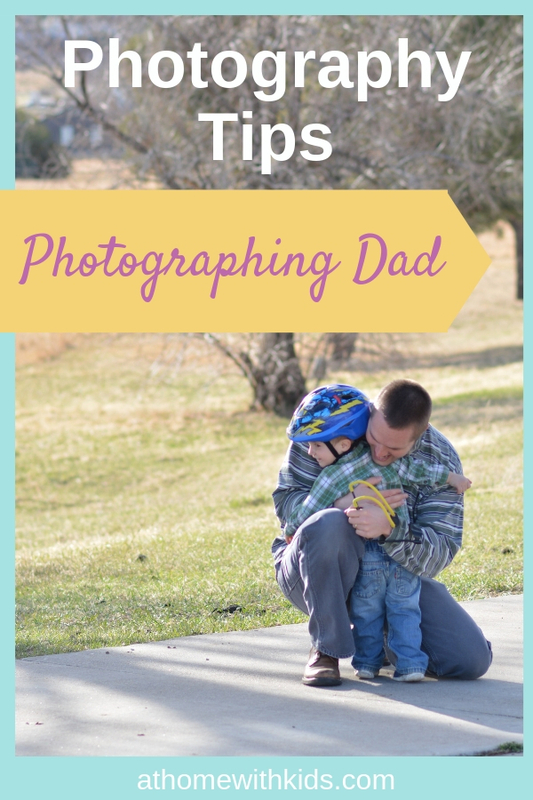 Use these photography tips for photographing dad to help you get the most of your photos. Make a point of capturing dad in your photos today or over the next couple days. Choose at least one to of the tips above to focus on and apply to your photographs. Tag me on Instagram (@athomewithkidsblog) and show me your favorite photos.